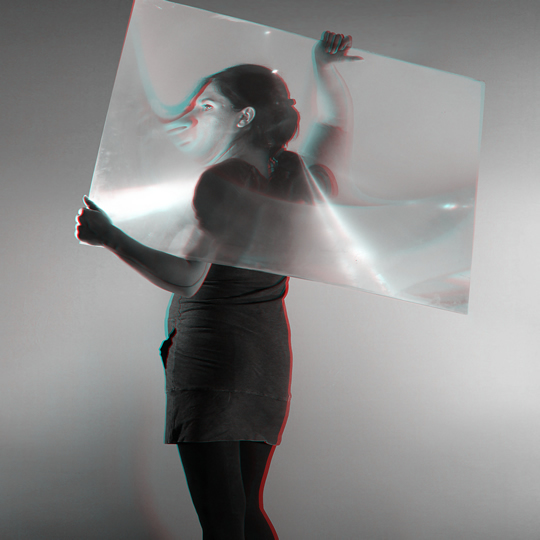 LIGHT WORKER PORTRAITS is a new series of stereoscopic 3D portraits by Maximus Clarke. The portrait subjects in this series are all artists who work with light, each in a different way. The common theme of the series is that each portrait incorporates the work of the artist pictured in some fashion. As a result, the images are best understood as the product of a collaborative dynamic between Clarke and his artist-subjects. Jonathan Sims is shown holding his laser-etched acrylic disks and illuminated by his visual projections. Klimentina Jauleska poses with the giant fresnel lenses that she uses in her installation works. The portraits of Paul Johnson incorporate his distinctive lenticular shadowgrams. 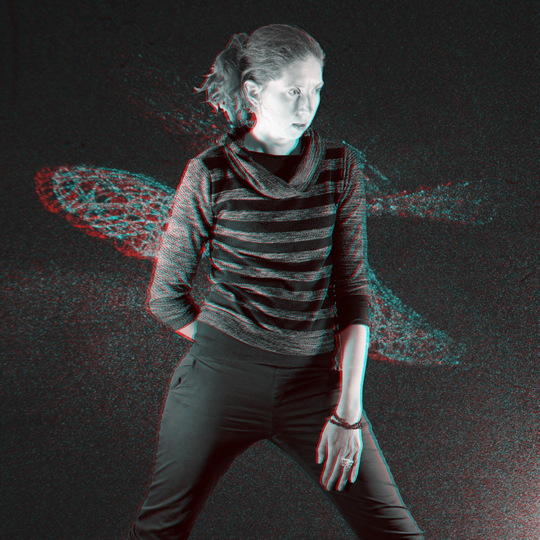 Martina Mrongovius is pictured in front of her holographic dragonfly images. And Sofy Yuditskaya appears holding refractive crystals and surrounded by abstract laser patterns. The initial images in the LIGHT WORKER PORTRAITS series were shot in April and May 2018, but the series is open-ended, and may expand to incorporate more subjects over time. 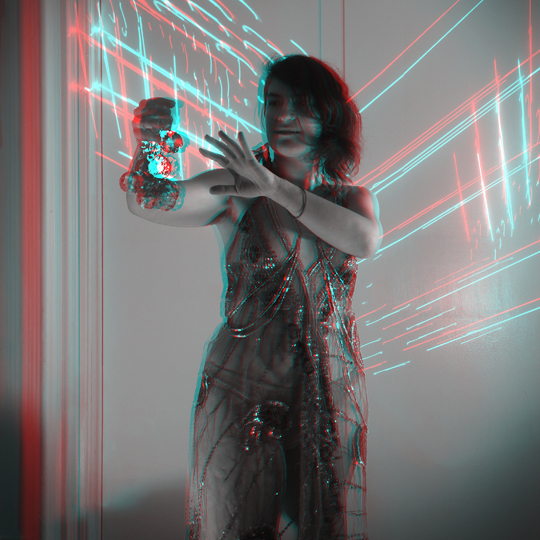 The first group of portraits was exhibited in anaglyph 3D format at the Center for the Holographic Arts in May and June 2018.